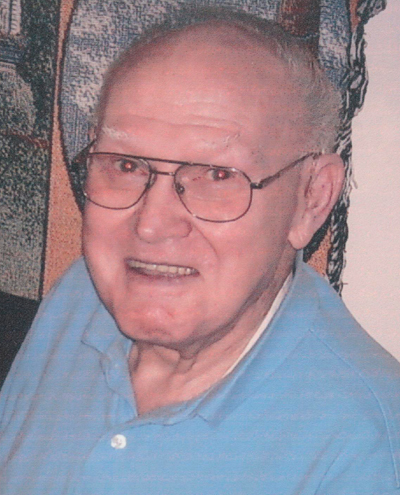 William W. “Bill” Peters, 94, of 1392 Petersville Lane, Huntingdon, passed away at 3:17 p.m., Tuesday, Sept. 4, 2018, at his home. Born April 27, 1924, in Belleville, William was the son of Edward James and Margaret E. (Haffly) Peters. He married Alvera Rose Lentvorsky on June 9, 1946, in Belleville. She survives at home. He is survived by children: Sharon Flaherty, of Huntingdon; William E. Peters, of Huntingdon; Andrew D. Peters and wife, Jeane, of Huntingdon; 15 grandchildren, 32 great-grandchildren and 10 great-great-grandchildren; sisters Bernice Lannen, of Moundridge, Kansas, and Reba Brannon, of Lewistown. He was preceded in death by: daughter, Beverly Kauffman; brothers Lewis, Richard, Robert, Donald, Paul and Owen, and sisters; Miriam Colpetzer and Dorothy Fultz. Peters was a member of St. James Lutheran Church in Huntingdon. He was also a life member of Frank P. Hommon Post 24 American Legion. He served in the U.S. Navy during WWII from 1942 to 1946. During life, he was the owner of Holiday Bowl in Huntingdon. He enjoyed playing and coaching baseball and instructing bowling. His grandchildren, great-grandchildren and great-great-grandchildren were his pride and joy. At his request, there will be no public visitation or services. Arrangements are being handled under the direction of Robert E. Peters Funeral Home in Huntingon.